Are you looking for a nutritional supplement store in Poughkeepsie that can meet of all your needs? Do you need a local sports nutrition store that can also meet all of your natural health products needs? Check out the House of Nutrition at 5 College View Ave. — we have everything that you are looking for and the expertise to help you find the perfect brands for your individual needs. At House of Nutrition, we are so much more than just a nutrition supplements provider. We are your one-stop shop for discovery, education, health supplements, sports nutrition supplements, and so much more. You can visit us online or stop by the store Monday through Saturday from 9 a.m. until 7 p.m., and from noon until 4 p.m. on Sundays. 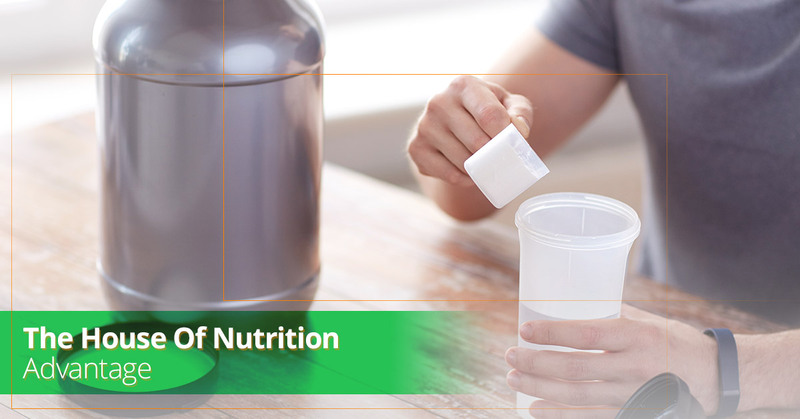 In today’s blog, we will discuss all the reasons why we believe we should be your new home for all of your nutritional supplement purchases and learning. Continue reading to see what you’ve been missing. When you visit a big box nutritional supplement store, you’re likely to find a staff that is busy stocking shelves and checking inventory, who knows just enough about the products to avoid making serious mistakes when questioned by their customers. Many of these people see their work as a part-time means to an end — like getting employee discounts on their own regimen of protein powders and vitamins. At the House of Nutrition, you’ll never have anything other than a great experience — and here is why. At the House of Nutrition, we’re wildly passionate about offering our community the best selection of nutritional supplements at the best prices. It may sound crazy, but we get pumped about it because we know how much people spend on these kinds of products and what a positive impact they have on people’s health, happiness, nutrition, and overall wellness. We got into this business to help others gain the knowledge and access that we had to the absolute best options for everything from sports nutrition supplements and powders to an incredible array of herbal supplements used for everything from blood flow to illness resistance. When you come in, you can count on being greeted by someone who is happy to see you and happy to help. We’ve been offering Poughkeepsie residents healthy foods, nutritional supplements, and expert advice since 1967. You won’t find another local shop that has our experience and our dedication to providing incredible customer service and competitive pricing on our entire lineup. We have always strived to be at the forefront of what works, what our customers need, and what they want. We were the first company to bring both granola and Häagen-Dazs Ice Cream to the Hudson Valley, and we’ve been early adopters and leaders with countless other brands and nutritional supplements. At House of Nutrition in Poughkeepsie, we see all kinds of people. We work extensively with the weight lifting and bodybuilding community, we have a strong following of runners, we serve plenty of active lifestyle adults who have a diverse range of vitamin supplement needs, and an entire community of people who prefer to seek out natural, holistic approaches to health and wellness. To do this right, we have to maintain an extensive inventory of the best products available. Conveniently located just north of Vassar College and south of the 44, House of Nutrition is an easy stop to build into your day without having to go out of your way. However, for anyone who is just plain old too busy to get in, we offer free local delivery in Poughkeepsie. If you would find it helpful to have us provide door-to-door delivery for your health and nutritional supplements, then place an order online today. If you’re not 100 percent sure what you’re looking for, feel free to call and place an order over the phone. We can make sure that you get everything you’re looking for. Unlike most other health food and supplement stores, House of Nutrition actually has a nutritionist on staff. This allows us to not only to be critical in evaluating new brands and products, but it gives us the ability to actually advise and help our clients on an altogether different level. When you support House of Nutrition, you’re supporting a local business that works hard to keep its money in our community, organizes local events that drive revenue for other businesses, and supports local athletes and competitors. If you haven’t taken advantage of everything that the House of Nutrition has to offer, then you’re still missing out. Swing by today or visit us online to learn more about how we can help you live your best life.